Or rather: it's conversation time with the help of automated chatbots and voice assistants. After webpages and mobile apps, the next big Internet development is bots. And VIRVIE with it's longstanding experience in the digital domain is right on top of it. The age old marketing adagio ‘location, location, location’, is probably the most compelling reason for seriously considering chat bots; the crowds are moving towards Instant Messaging apps and are staying there. And chat bots are the only scalable meaningful way to interact with these crowds. VIRVIE can help in determining how chatbots fit in your digital strategy. By the way: in Asia chatbots are common practice already. Even though chatbots and voice assistants can take advantage of cutting edge technologies like Natural Language Processing and Artificial Intelligence, they are currently still 'inexperienced' and proper design can go a long way in resolving this. VIRVIE's experience in user centered design in general and conversational commerce in particular ensures you will get the right solution. Every Customer Contact Center has a certain amount of repetitive questions, that usually have a standard answer. Even in the case of non-standard answers, there are most likely some filter questions that narrow down the specific case. Having human agents handling these questions is tedious and uneconomical and chatbots are the perfect solution to this problem. VIRVIE is currently supporting an international travel organisation in setting this up. The key challenge, next to knowing when the chatbot should chime in, is ensuring that the hybrid human agent / chatbot solution is comprehensible for the user and that the system calls in human backup when the chatbot seems to fail. Natural Language Processing (NLP) is a key functionality in this setup and handles the identification of user questions and matching them to pre-formatted answers or rerouting them to human agents. VIRVIE completed (pilot) chatbot projects for Philips and Eurail in this category. Consider it the new personal or corporate webpage, but with better engagement and the ability to truly personalise. VIRVIE created a chatbot for its founder Almar: the Almarbot1st 🤖 and a corporate bot of its own VIRVIEHQ (both available via Facebook Messenger). It contains the elements of a regular (personal) website, which you access through short conversations with the bot. It's what you would call a 'dumb' bot, in the sense that it has very limited Natural Language Processing (NLP) and Artificial Intelligence (AI) capabilities. A particular neat feature though, is the ability to log answers to specific questions for individual users. This way you can segment users right away and personalise future messaging. Services (or better micro-services or tasks) are probably the domain where chatbots compete the most with other Mobile Apps. By connecting a chatbot to a particular API (e.g. train schedules, weather reports, news updates) you can 'ask' it to perform a particular task. A dedicated App can of course do the very same thing, usually with a much richer interface, but the chatbot has the advantage of being on the platform where most users already spend their time and don't require installing anything new. Most likely we'll see hybrid forms of Apps and Bots for these kinds of tasks in the near future. Since chatbots can be extremely personalised they are ideal for broadcasting relevant information to specific users. The specific traits of a conversational interface allow you the deliver news or for example product information in a 'snack-size' format. VIRVIE created a demo marketing chatbot for Philips Personal Care and is responsible for the current chatbot of the NOS (Dutch News broadcaster), the NOS Update bot. Over the years VIRVIE has been involved in many exciting projects. Here are some achievements that landmark what we stand for. Through an internal role at Philips as Mobile App specialist, VIRVIE was involved in many of the Digital Innovations that resulted in new Philips Apps and Connected devices. Examples are the Grooming App, the Airfryer App and the Sonicare for Kids App and Connected Toothbrush. In addition VIRVIE helped setup the Digital Marketing of these propositions, including App Store Optimisation (ASO) and launch preparation. After an extended involvement in creating the new web presence for the Dutch libraries online, VIRVIE instigated the creation of a national Social Media team. This team, which consisted of local librarians, and operated completely remote and web based, handled all interactions on Twitter and Facebook, 7 days a week, from early morning to late at night. Key factors to its succes were an extensive content strategy and proper tooling for the team members. As part of the library innovation project we explored the possibilities of Augmented Reality for extending the library function. 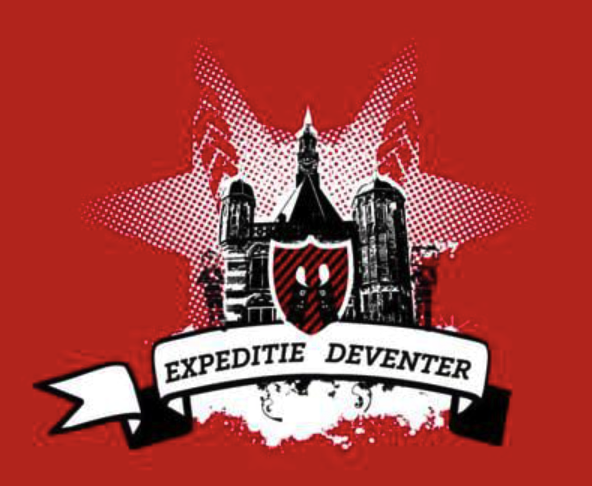 This resulted in the 'serious game' called "Expedition Deventer". The game allows teams of students to explore the past, present and future of the city with the help of library materials. The Augmented Reality component has the unique ability to present photo, video and 3D information in a physical context. The game won the Dutch Digital Heritage Prize.